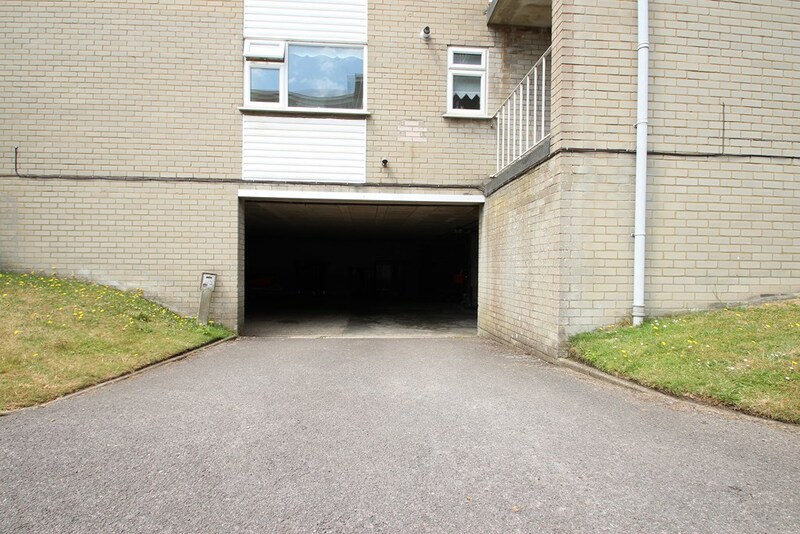 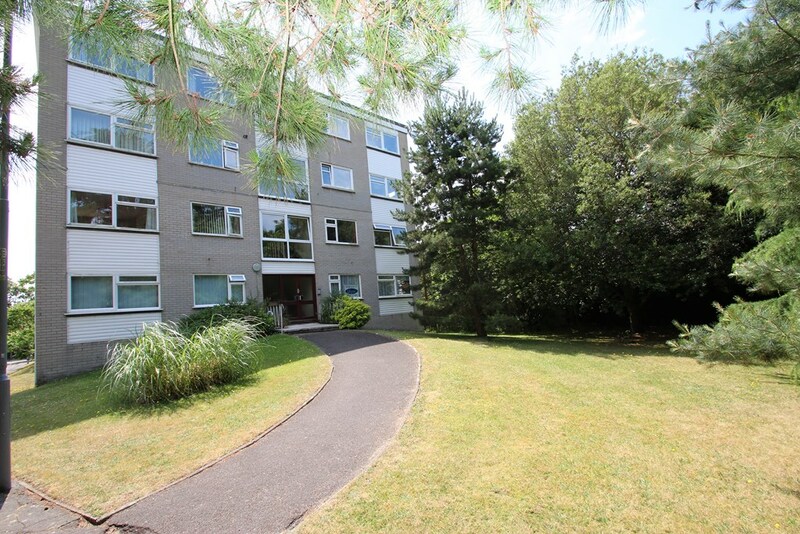 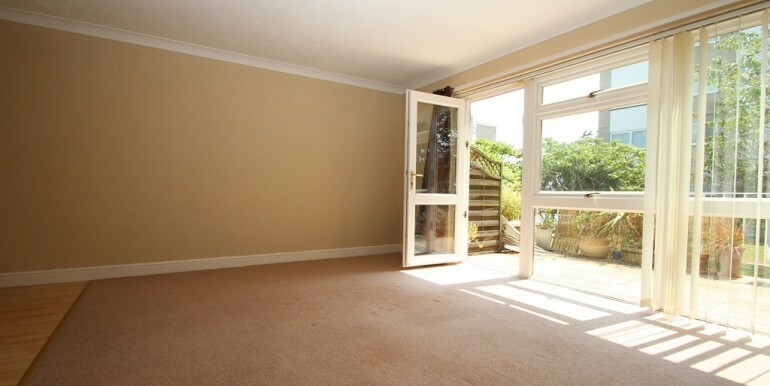 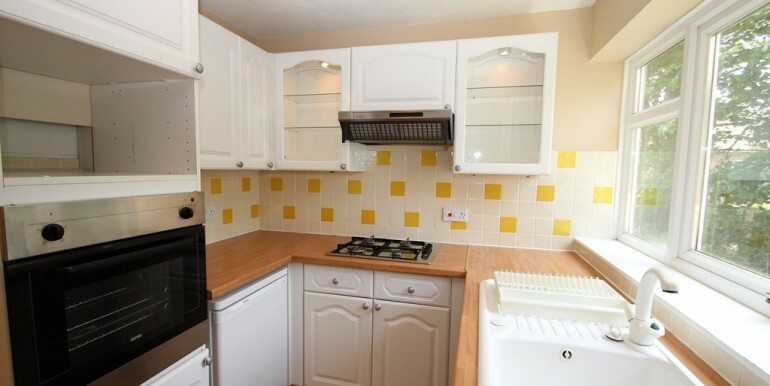 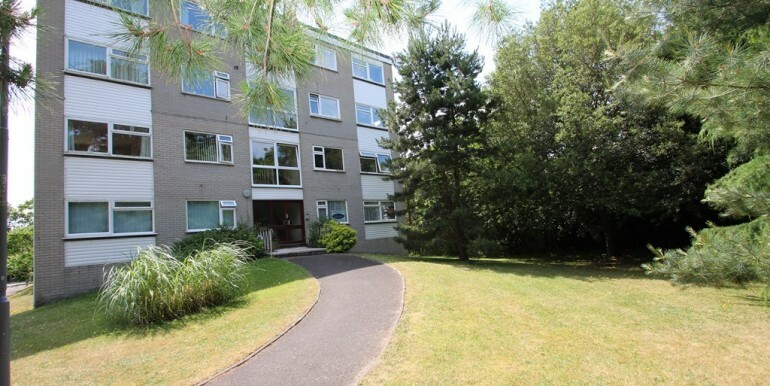 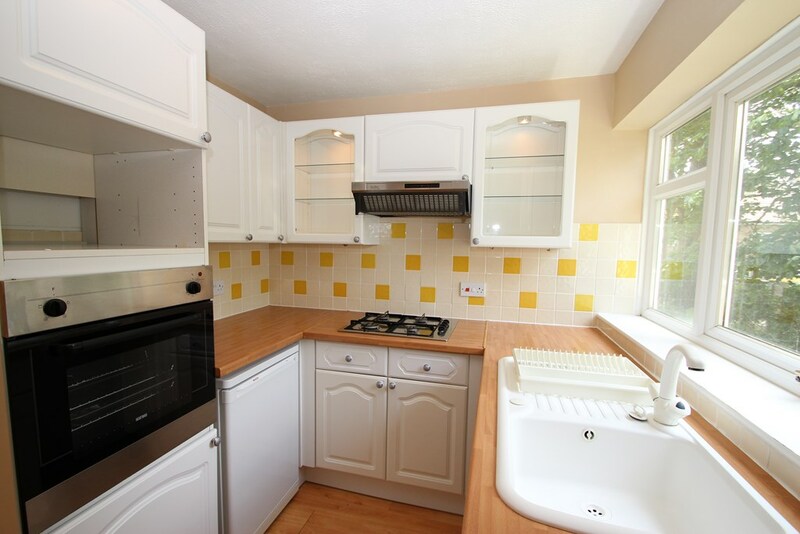 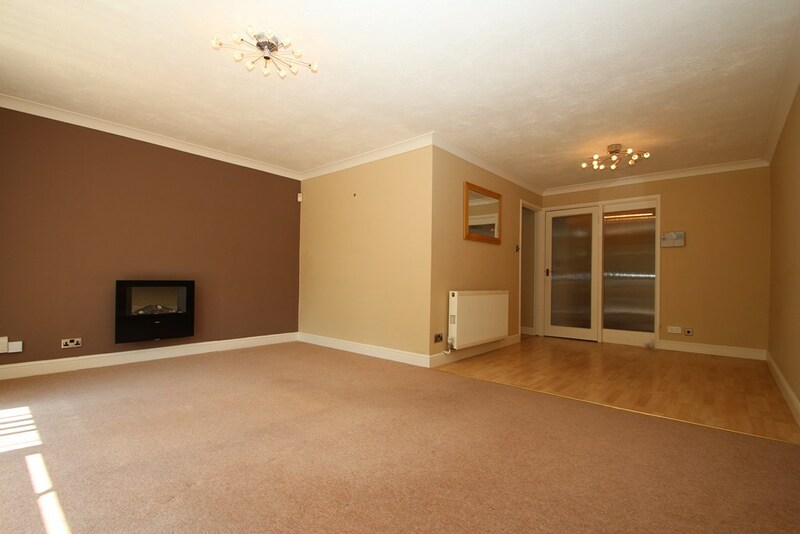 A well presented two double bedroom ground floor flat which benefits from a large patio, underground parking, modern kitchen and bathroom and a residents slipway out onto the harbour. 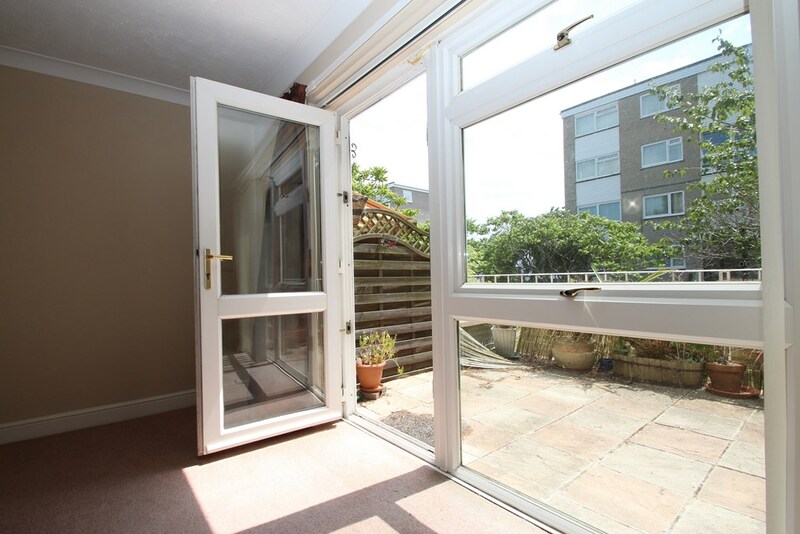 A solid wooden front door leads into the hallway of the apartment where there are good sized storage cupboards and doors lead off to the living room, bedrooms and bathroom. 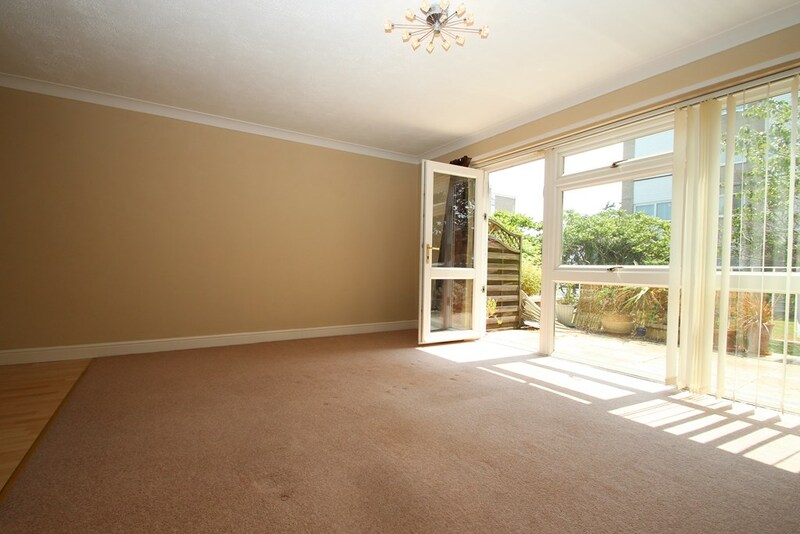 The L Shaped lounge / dining room is of a very generous size, has a central electric fireplace, access via a UPVC double glazed casement door leads out onto the spacious patio and there’s access from the dining area into the kitchen. 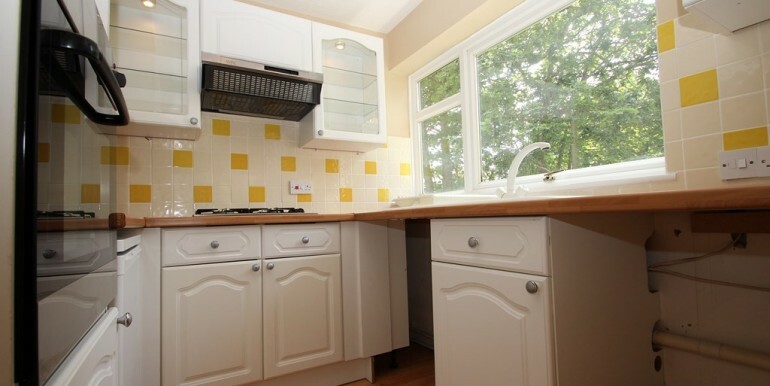 The kitchen has a modern range of wall mounted and floor standing units surmounted by roll top work surfaces, there’s an inset sink unit with mixer taps and a side drainer, inset gas hob with an extractor hood above, built in electric oven, space for an under counter fridge, space and plumbing for a washing machine, space for a dishwasher and there’s a wall mounted combi-boiler. 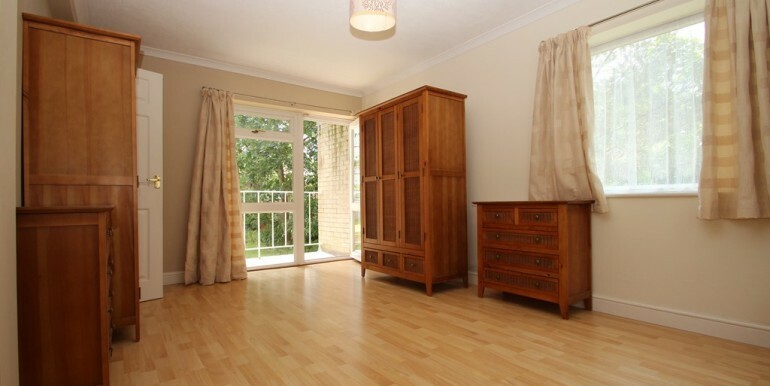 The main bedroom is a large double room with triple aspect windows, a UPVC casement doors open out onto a balcony which overlooks the well kept communal grounds. 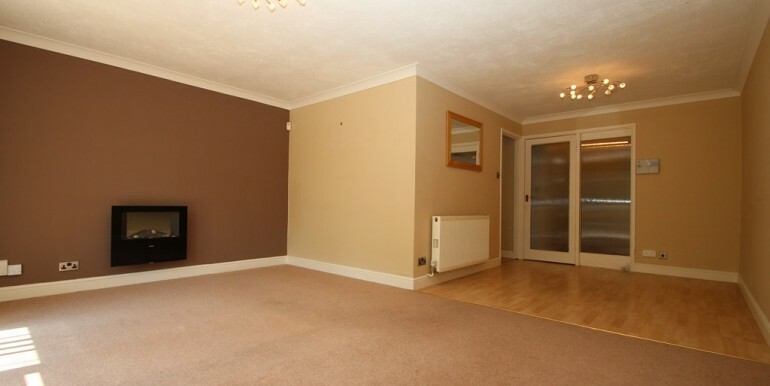 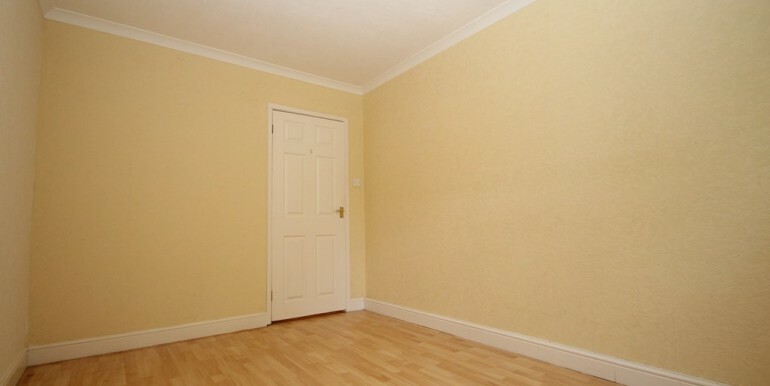 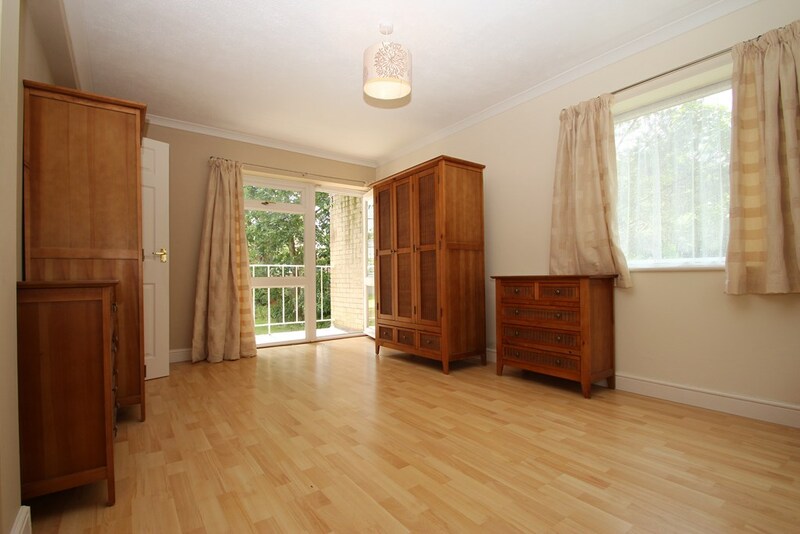 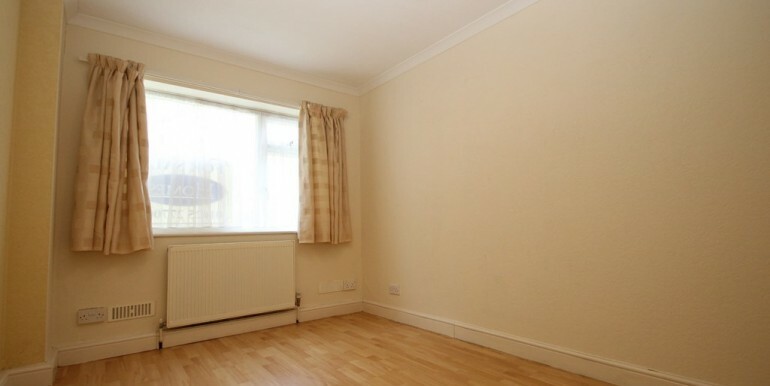 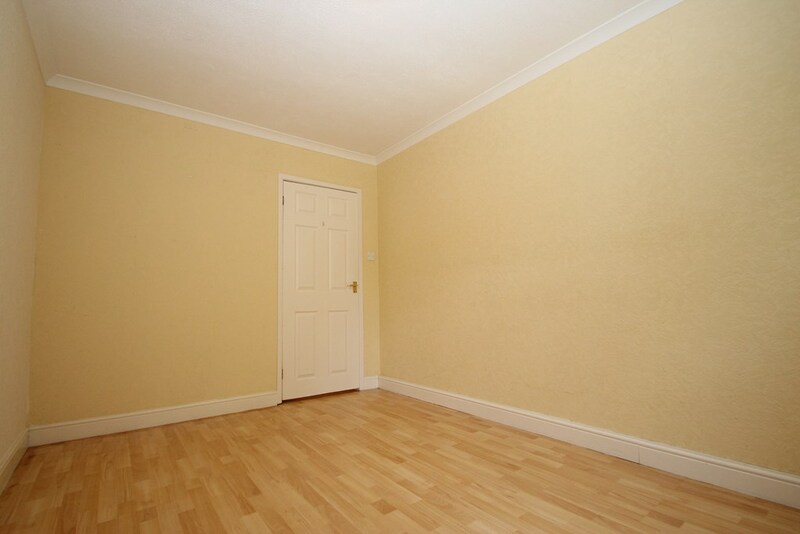 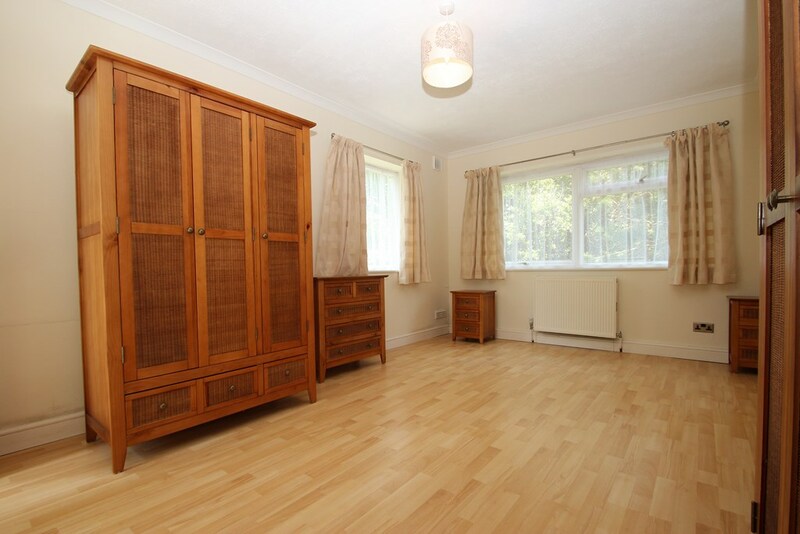 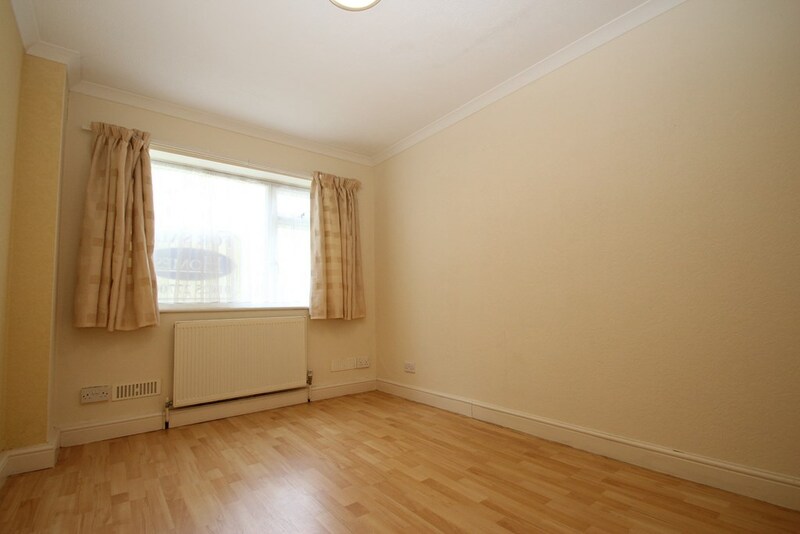 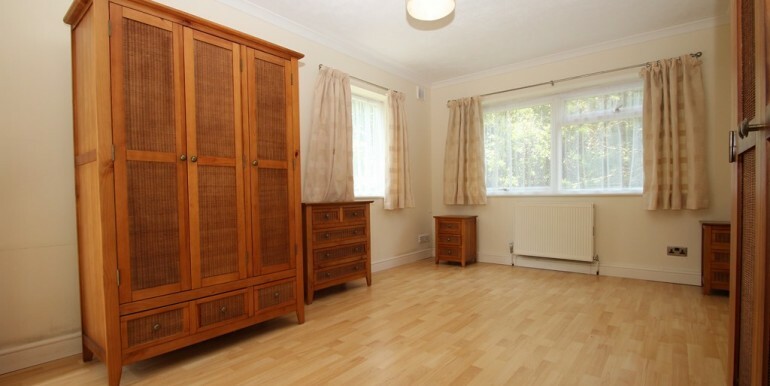 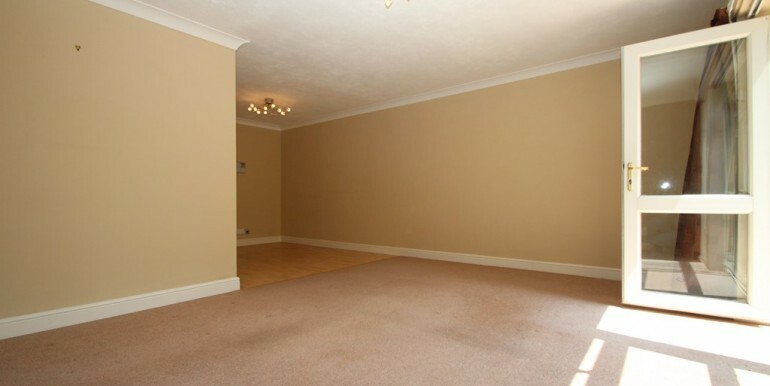 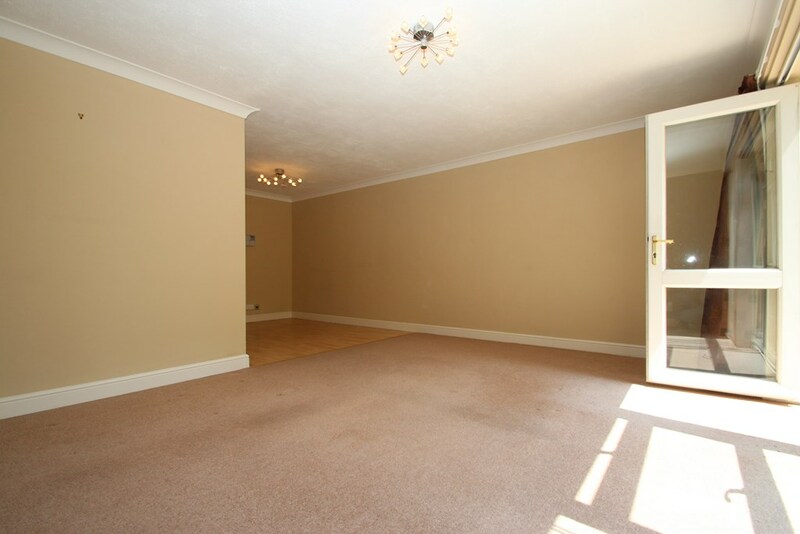 Bedroom two is also a double room which overlooks the front aspect. 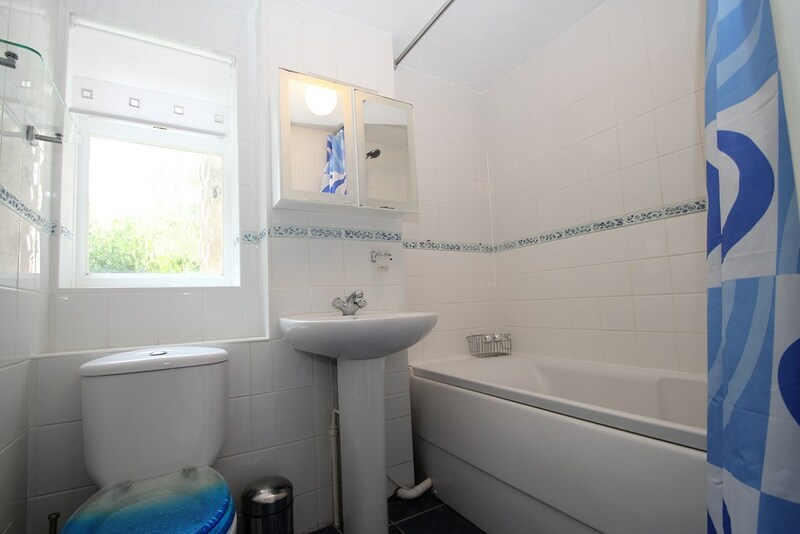 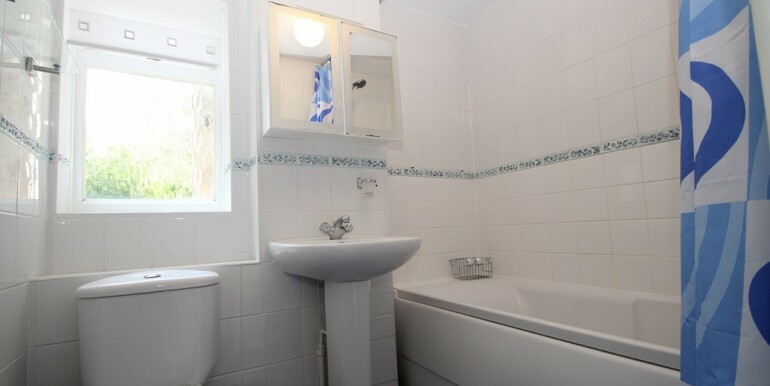 The bathroom has part tiled walls, panelled bath with a shower system over, pedestal wash hand basin and a W.C. 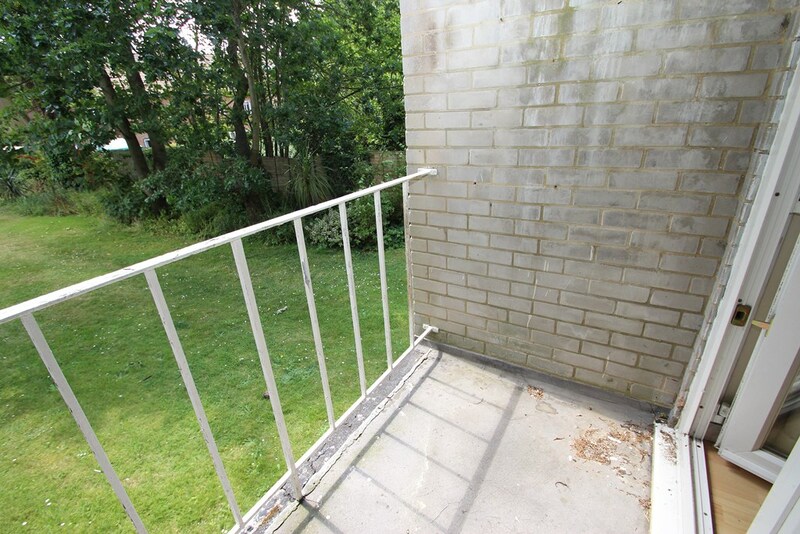 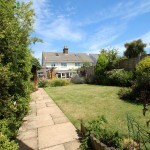 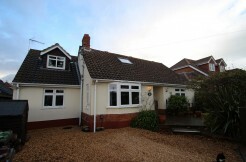 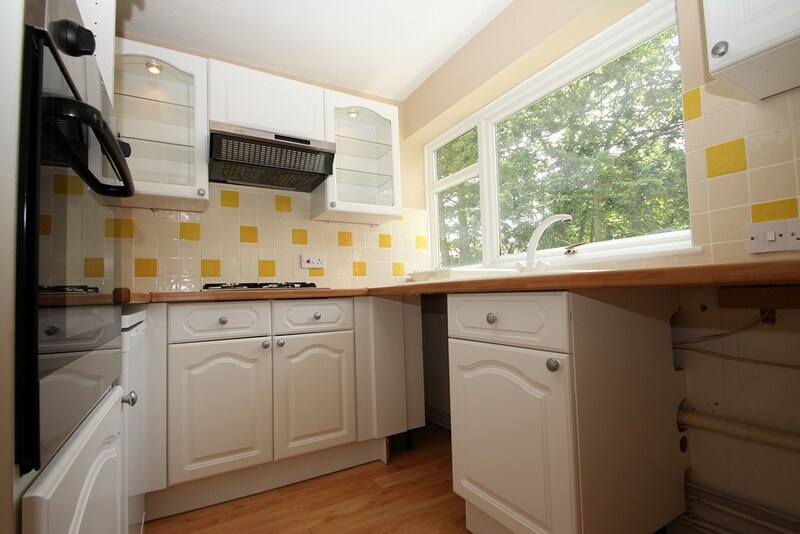 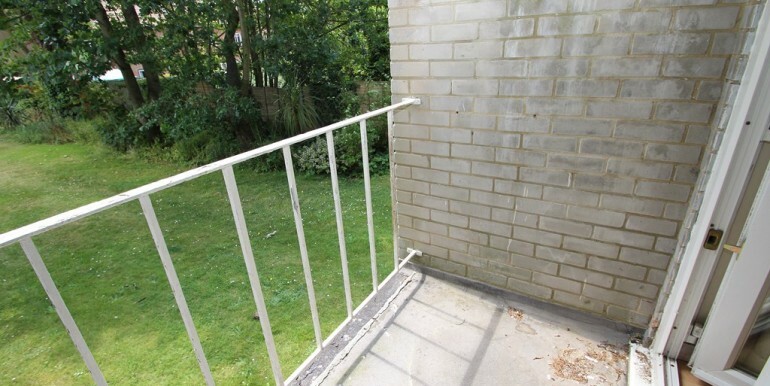 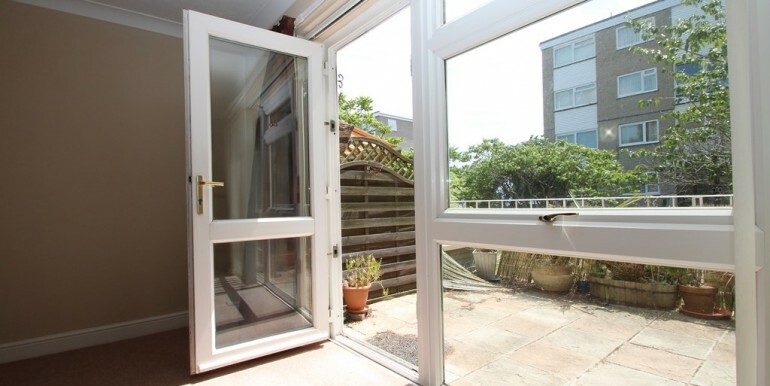 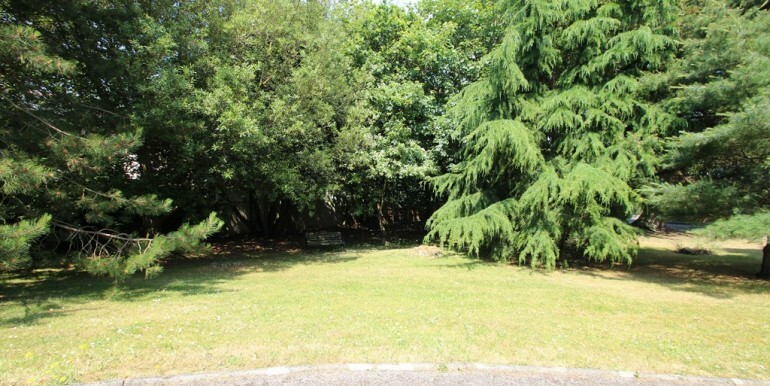 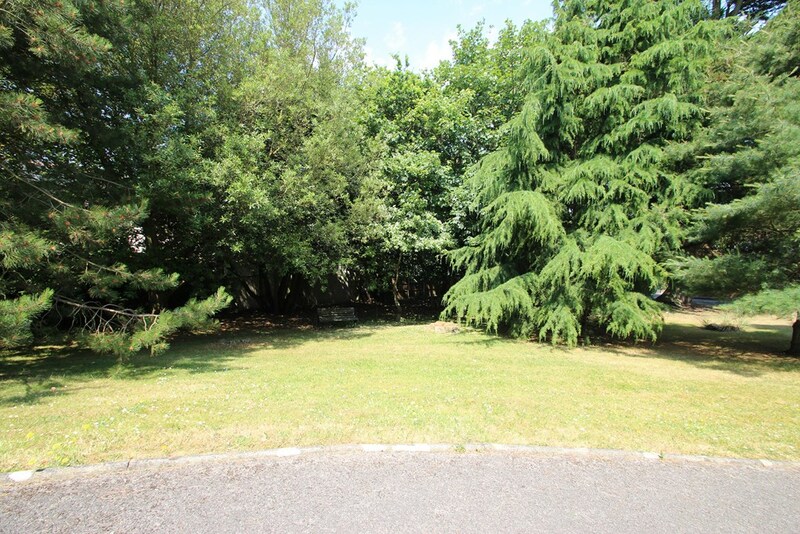 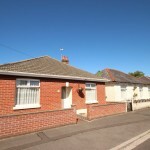 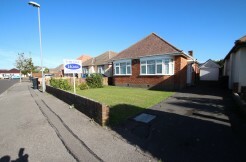 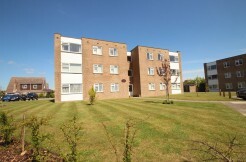 The patio area enjoys a southerly aspect and enjoys views across the communal grounds. 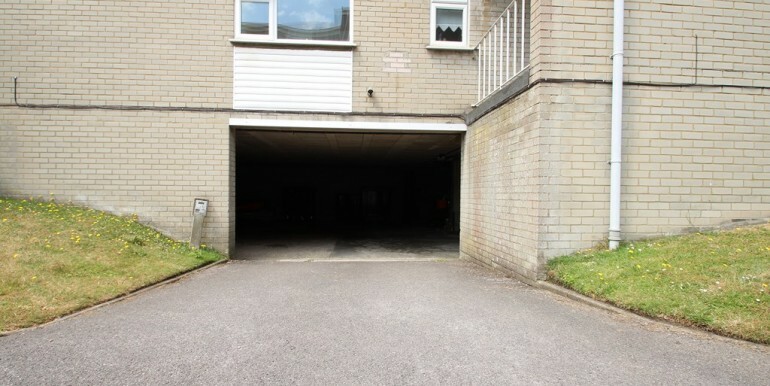 An underground parking space is also conveyed with this apartment. 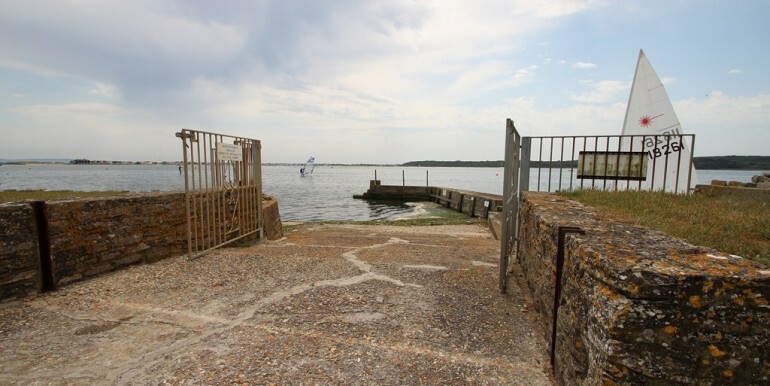 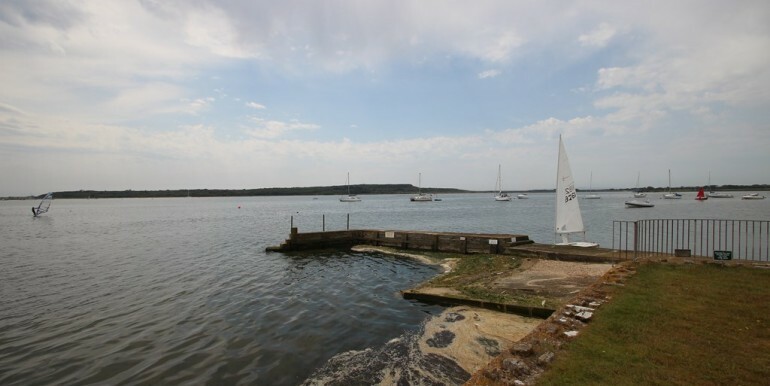 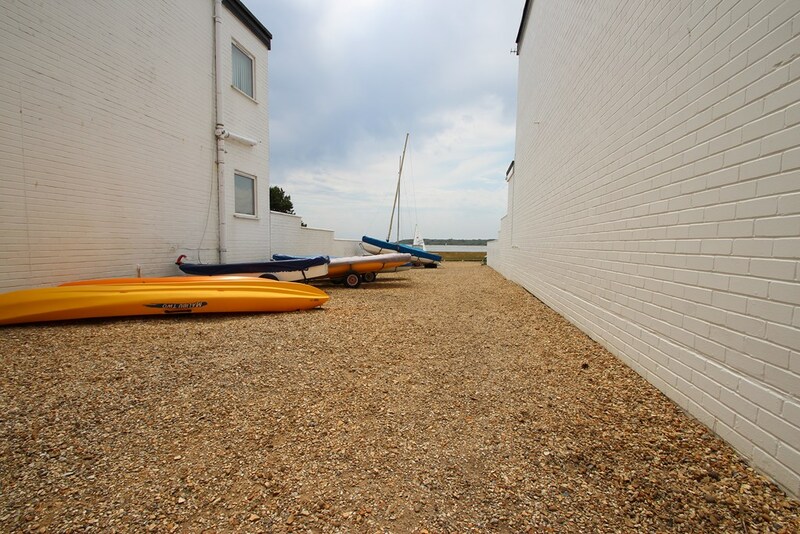 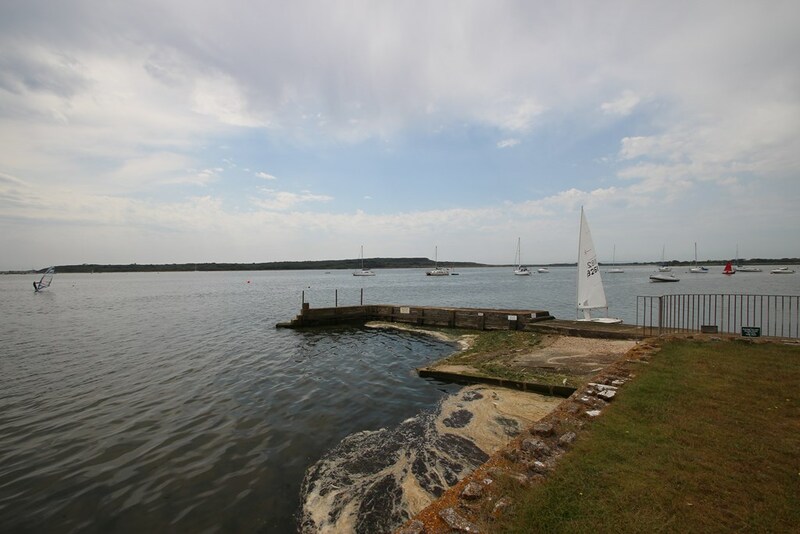 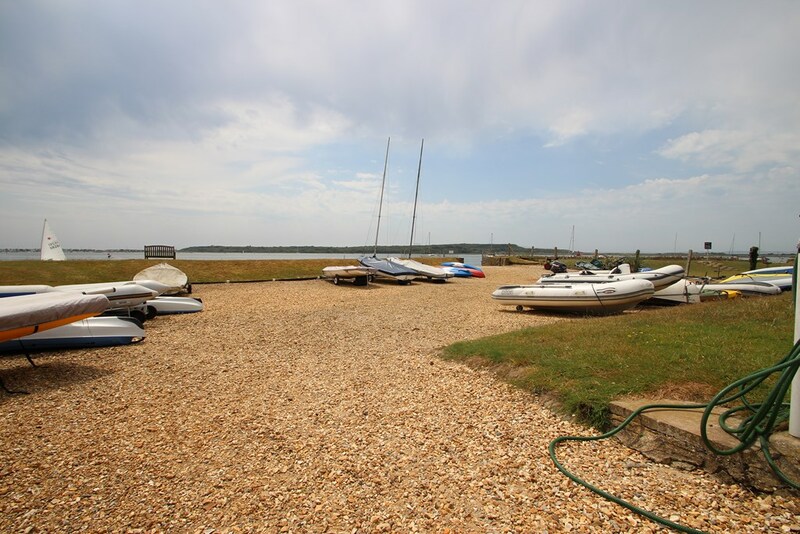 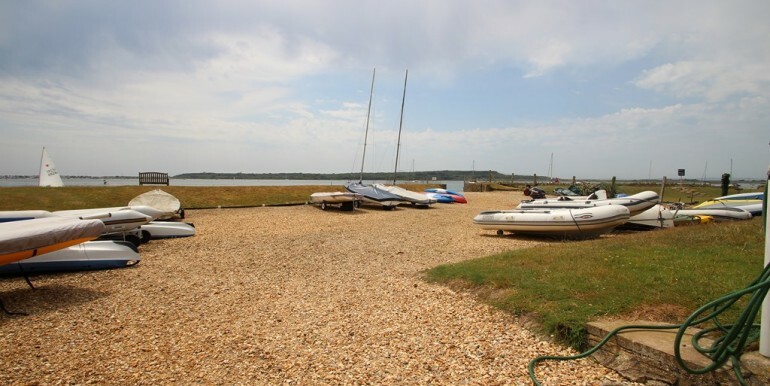 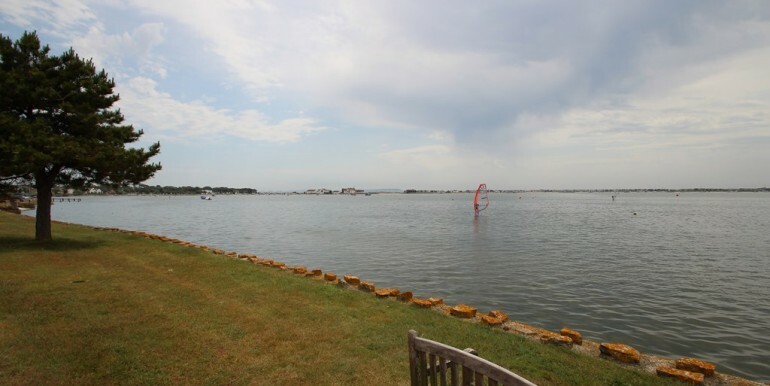 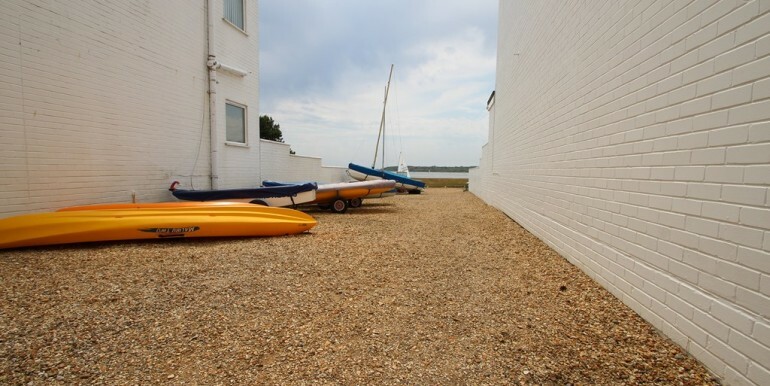 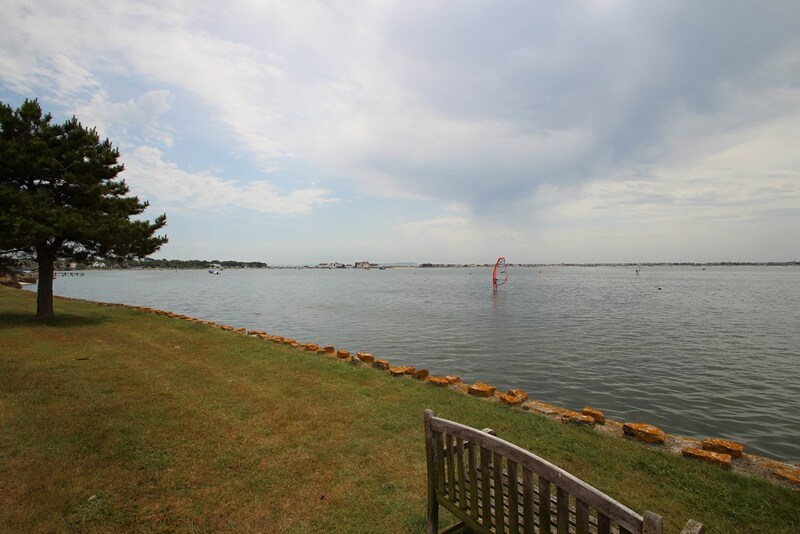 A residents slipway out onto the harbour can be found at the head of the cul-de-sac – Superb for water sports enthusiast! 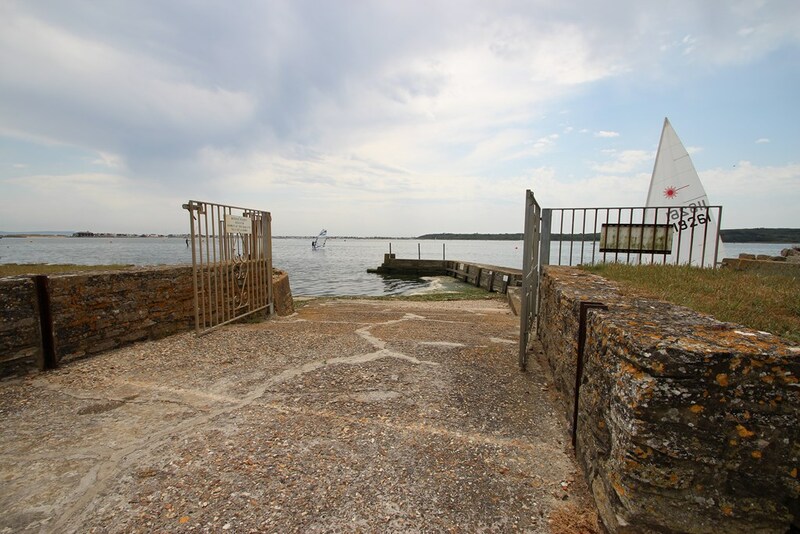 VIEW TODAY – NO FORWARD CHAIN!